I've been in and around Tahrir Sq for most of the day - Egypt's first May Day for decades to be held in relatively free conditions. In the taxi there was the official trade union conference blaring from the radio, and it sounded like they, too were trying to come up with a tone differentiating their event from it's usual atmosphere - which was as befits a state run union full of factory managers in a dictatorship. Someone even denounced Mubarak. On the square they've begun to go way beyond this. From around 1pm there were contingents turning up usually as follows: about 60 people; home made banners congratulating the workers of District X for celebrating 1 May. Usually fronted by broad chested, well turned out - ie skilled and non precarious - middle aged manual workers. Then their sons and a few wives, or occasionally with the white collar workers, women employees. They would chant for a bit then join the throng, about 10,000 strong by the end. Maintenance manager from a small town wandering around with his son dressed in the football colours of Spain: nothing has changed economically but we're happy to be here. Ticket collector from the subway: dressed in the t-shirt of the new independent union federation, linking arms with his buddies: we want the old bosses to be kicked out of the enterprises; a minimum wage and the reversal of privatisations. Almost word for word a guy - again a middle manager - from the Cairo Gas Co, who adds that the revolution is now "my whole life" as it will determine my children's fate. There is no singing of the International, and the only people carrying red flags are the newly "out" Communist Party (are they Russians, asks one old geezer, adding: Are you Russian?) - and the newly formed Democratic Labour Party - which is a project involving the far left and the Indy union leaders. Mostly people carry Egyptian flags: and sing the national anthem. Plus there is a bit of football regalia. A young ultra from Zamalek FC tells me how he came with four thousand football fans on the 28 January, in defiance of people in the club hierarchy who told them the protesters were foreign agents. "Why don't you ask me about football?" he says, when I begin quizzing him on the social dynamics of urban poverty. OK then, I ask him how Zamalek are doing. "The problem is the fans are spending too much time talking about the revolution and not enough about football". It's clear that the football ultras, who never got on well with the cops, were one of the conduIts for bringing the urban poor onto the streets. I ask a couple of older workers what they did on Jan25th: "We came down here with our workmates. Gradually other industries came down here and the strange thing is, though we all work in separate industries, we now know each other's faces." Despite this, the independent unions are at a very rudimentary stage. Most have this mixture of wage demands, demands against particular corrupt bosses and things they want to happen to the structure of their industry: they are hyper specific. They do not see themselves as opposed to, or separate from the educated professionals who led the revolution. Among the workers though, the thinking remains for many at the horizon of their own lives and workplace. They are still stunned to be standing there amid communists, social democrats and everything in-between, totally free of their old bosses, who they allege used the state run union to spy on them and dispense corruption. The doctors' strike has been called for 10 May after a rancourous mass meeting lasting 5 hours in which the Muslim Brotherhood argued against the strike but got overturned, amid acrimony, by the largely young, secular membership (including many female doctors), with a lot of pushing and shoving on the platform. However up to the time I left the first May Day in Egypt was chilled out and its sheer ordinariness what was extraordinary. I've met a group of doctors - the Doctors' Coalition - who are trying to bring the entire country's publicly employed medical profession out on strike in mid-May. The issue: well they have two demands - the sacking of the health minister and the imposition of a maximum wage and a minimum wage in the health service. Egyptian doctors in the state sector earn the equivalent of £30 a month. "The corruption was official. The hospital managers would cut deals with drug suppliers, with other contracts etc and pass what they wished down to the workforce on the basis of favouritism: to this nurse, to that doctor, who would then be required to repress their part of the workforce." "What we want is for the health budget to rise: it is 3.5% of GDP and it should be 15%. But if we place a maximum salary of 15x the minimum in the health service we can stop the corruption." One hospital, in Heliopolis, on the outskirts of Cairo, already overthrew its managers and elected new ones; they faxed the name of the newly elected manager to the health ministry and two hours later a fax came back confirming recognition. Others are considering the same thing. The doctor I spoke to alleged that the Muslim Brotherhood, which controls the Doctors' Syndicate, would try to stop the strike. I only managed to speak to secularist, progressive doctors - so I can't get the other side of the story from the MB. But the secularists are in a debate about how soon and how long to strike for, and whether to link up with other health professions. They have absolutely no idea whether they can get people to support them. 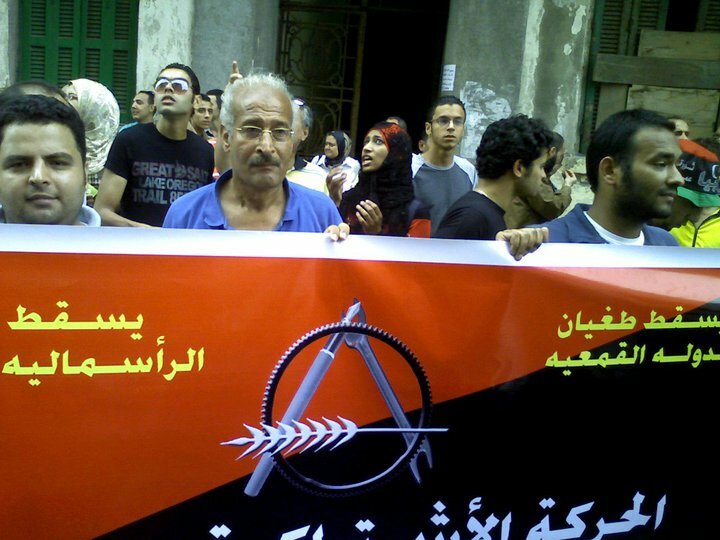 This organised labour aspect of the Egyptian revolution is in its infancy. I sense an uneasiness about it among the educated youth who sparked the revolution. It is for some simultaneously unglamorous and potentially divisive; it takes the revolution into the realm of pounds and piasters, out of the realms of high ideals. It is certainly not the key dynamic in any sense, yet. Workers at the Jawhara Ceramics factory owned by detained businessman and former National Democractic Party leader Ahmed Ezz went on strike today in the industrial city of Sadat in Menoufiya governorate. They are protesting low wages and requesting the formation of a union committee to defend their rights. They have asked that the minimum wage be set at LE1200, that a union to represent their force of 2,500 workers be set up, that they receive an hour’s rest for lunch and medical care for dependents. Not clear on whether that's a minimum wage for workers in that factory or (like the Bakers Union action mentioned above?) for a general, national minimum wage. A group of approximately 250 people destroyed the courtroom of the South Cairo Court after the judge adjourned the trial of 13 policemen accused of killing peaceful protesters during the 25 January Revolution. Some of the martyrs’ relatives and friends congregated at the courtroom ahead of the opening session Tuesday. They kept calling for the death penalty for the defendants and chanted other anti-police slogans. After the session, some of the protesters tried to forcibly keep the accused policemen inside the courtroom before a brawl erupted. Some of the officers were slightly injured in the process. Tensions escalated even further when the trial was postponed till June 5 and the court ordered the release of the defendants. No sooner had the protesters heard the verdict than they wreaked havoc in the courtroom. The podium and seats were destroyed before military police contained the situation and arrested a number of the rioters. Central security forces also secured the courtroom to prevent further clashes. A relatively minor incident in the scale of things, but perhaps an illustration that 'normality' is still far from being fully restored. Kamal Abbas, the founder of Egypt's Centre for Trade Union and Worker Services (CTUWS) is coming to the U.K. later this month. Thousands of workers continued their protests on Tuesday in Cairo and a number of other governorates. In Helwan, nearly 3000 workers at the Mefco Helwan Furniture Company continued striking for the second consecutive day to demand better salaries and denounce the company board’s failure to respond to their demands. The protesters presented their demands to the cabinet as well as the Supreme Council of the Armed Forces. The military police and a representative from the armed forces made a second visit to the company on Tuesday. Taha Sirag, a spokesperson for the workers, said that the company’s CEO shut down the company and prevented the workers from entering on the second day of the protests. Sirag said the CEO refused to meet with the workers for negotiations after a representative of the armed forces called on him to propose a reasonable solution. Sirag told Al-Masry Al-Youm that the workers are insisting on receiving their monetary rights including the 15 percent raise approved for government employees. Meanwhile, workers in the Egypt transportation authority announced they would be halting their strike, which they began on Monday following pleas from passengers. The workers vowed to resume their strike if their demands are not met by the end of the second term at schools and universities. Health Minister Asharaf Hatem issued a decision to amend certain articles in the Doctors Syndicate bylaws, including Article 43 which requires the door be opened for syndicate elections from 20 to 30 June, 2011. In related news, with regards to the threats made by the Doctors Syndicate to organize a week-long general strike in all hospitals nationwide, the general assembly in charge of the strike slated for 10 May said it would exempt doctors of emergency and intensive care units, as well as units treating acute conditions, from being required to participate. “The syndicate supported demands made by doctors for the dismissal of the health minister, as he is a remnant of the former regime,” said syndicate treasurer Essam al-Eryan. The minister is accused of attempting to privatize public health insurance. Workers at Anshas’ first and second nuclear reactors organized a strike for the second consecutive day to demand better salaries and working conditions. The workers complained that they were being paid a meager LE120 per month despite the fact that they work in a hazardous occupation. Egyptian Airports Company workers at the Abu Simbel International Airport continued striking for a second consecutive day inside airport terminals to demand they be given incentive pay of up to 100 percent of their base salary, rather than the 50 percent they have been given for the past five years under instruction by the company’s CEO. About the sectarian violence: I read in The Guardian (don't have the reference, as i saw it on somebody else's computer) that there are many people in Egypt who say that it's been encouraged by elements of Mubarak's old regime. And is there any significance to the fact that it's the Salafis - the same sect as Osama's - who've been initiating these attacks? It's definitively Salafis who are behind this crap, though these events happened also during Mubarak's regime (same scenario - rumours spread that copts who converted to Islam were abducted by copts or "forced" to state their allegiance to Christ). Still, some analysts believed that the regime did encourage sectarian clashes as a diversion for the worsening standard of living in Egypt. Salafis, however, is not really a sect. More of an umbrella term for muslims who desire a return to the good old times, which they see as the first three Muslim generations. Colloquially, salafi, in Egypt at least, is often used, as is wahabi, as synonymous with fundamentalist. The events in Egypt were a catalyst throughout the Middle East for the yearnings for democracy and working class empowerment. likewise give us inspiration. Hossam el-Hamalawy provides an insightful report on the May Day celebrations in Cairo detailing the continuing conflict between the newly formed independent unions and the state unions which were still being supported by the military on May Day celebrations. He provides a fascinating history of unions in Egypt culminating in their present emergence of a free trade union movement independent of the state with demands for dissolution of the state unions, higher wages and renationization of substantial parts of previously privatized industries. We libertarian socialists struggle for a socialist society without classes, an anti-authoritarian society free of the repressive apparatus of the State and of Capital. We stand against the introduction of State capitalism, such as in the oppressive regimes that existed in "socialist" countries. We reject and oppose the capitalist system. We believe that the working class is capable of leading a vast coalition arising from tenacious efforts to bring down the power of both capitalism and the repressive State. 1. Administrative decentralization without governors and mayors, managed by local neighbourhood and area councils, the right of popular control with elected, recallable delegates of local councils and citizens' committees. 2. The conversion of all service companies and production plants into cooperatives self-managed by their members in a democratic, decentralized society with the aid of freedom and independence from the administrative State. 3. The cancellation of tax incentives given to investors and the application of progressive taxation in order to support the service cooperatives which will include sectors such as education, healthcare and so on. 4. Trade-union pluralism, freedom of association in factories and workplaces and the creation of unions for all State employees and military establishments in order to support the participation of all workers in the management of workplaces, self-management in the factories and companies that were privatized amid injustice and corruption during the Mubarak era. 5. The confiscation of all money of illicit origin and its distribution among the cooperatives. 6. A Constitution which guarantees all forms of human freedom, such as the freedom of religion, association and thought; the creation of a parliamentary republic, decentralized governance with permanent popular control by the local administrations and citizens' committees who take the place of the Government and the Head of State; the right of delegates acting on popular mandates to propose laws and referendums. 7. The constitution of a socialist society, that does not depend on an act of liberal authority but rather on the will of the cooperatives without a central authority, so that a society without classes can be self-organized through popular committees and local committees, against the authority of a central, repressive State. The massive injection of money (18 billion euros I heard, but maybe got this wrong) into Egypt and Tunisia by the G8/G20 is being referred to as a Marshall Plan. Off the top of my head, I presume one of the aims of this is to buy off the Arab working class with hope and investments amidst the rulers' chances of cheaper labour than Europe's. Anybody disagree or want to develop this? Tunisia and Egypt could be offered more than $20bn in international loans if they continue their transformation into “democratic and tolerant societies”, the leaders of the world’s richest countries announced on Friday. The G8 has a track record of making headlines with promises of money that never quite seems to materialise after the news agenda has moved on (anybody remember 2005 Gleneagles G8 promises of money for Africa?). But, yeah, absolutely, a carrot dangled to tie in the new military dictatorships that still have formal control (albeit contested, and limited by social and industrial unrest) back into the western fold (e.g. for discreet chats about the Rafah crossing etc). And on a wider level, to give hope to emergent bourgeois and social democratic parties, that there might be a pot of gold out there if they play their cards right. Finally, on just the basic level that the capitalists never have any money for social investment when passivity is the order of the day, but suddenly rediscover hidden reserves when workers take to the streets or occupy their workplaces. The old 1980s slogan in the UK that if you want a community centre, have a riot, is generally applicable at all levels. Believing that Egypt has not witnessed revolutionary change, many Egyptian activists and revolutionaries are calling for a “Second Day of Rage” (referring to the first on 28 January) Friday at Tahrir square. “I haven’t felt the change; I’m heading to Tahrir,” repeated several activists on social media sites calling for the protest. Some political forces announced their participation, other refused to take part and very few of those attending agree on the specific demands. The main callers for the Second Day of Rage remain unknown. Activism criticizing the Supreme Council of the Armed Forces (SCAF) heated up this week as Egyptian bloggers organized a blogging day on 23 May against the SCAF in which more than 375 bloggers participated. Many of the leading activist groups, including the 6 April Youth movement, the Coalition of Revolutionary Youth, Al-Masry Al-Hurr, ElBaradei Campaign, the Egyptian movement for change, the Maspero Copts movement, the Muslim Brotherhood Youth wing and expected presidential candidate Bothaina Kamel have all announced their intention to take part. Moreover, on the Second Anger Egyptian Revolution Facebook page which is calling for Friday’s protest, 27,000 thousand confirmed their participation, five thousand indicated they may be attending and 18 thousand said they would not attend, by the time this article was published. The anonymous group announced they were collecting money to set up a stage in Tahrir square Friday so their identity will be revealed then. The 6 April Youth movement was the first group to call on the Egyptian people to take to the streets, to “put pressure on the SCAF” to ensure the prosecution of former president Hosni Mubarak and other senior officials of his regime. There is no one demand that unites all participants, but the chief ones are: replacing the military council with a presidential one that would rule the country until the coming elections, designing a new constitution before parliamentary elections, holding former regime figures and above all ousted president Hosni Mubarak accountable through prompt fair trials, releasing all political detainees arrested in the last three months by military police, ending the trials of civilians in military courts, abolishing the emergency law, and lifting censorship from state-owned media. Regarding the plan for the day, the Coalition of Revolutionary Youth call the day “Friday of political corruption” to begin after Friday prayers at 1p.m. and end by 6p.m. However, 6 April movement and other independent activists are calling for a sit-in ending only when all demands are met. Meanwhile, the Muslim Brotherhood and other less influential political groups refuse to take part in the protest. Among those groups are Free Egypt Coalition, Egypt Protesters Coalition, The Egyptian Awareness Coalition, Field Rescue Committee, Islamic Group and Tahrir Youth Party. The statement says the group sees these protests as either a revolution against the majority of the Egyptian people or a dispute between the Egyptian people and the military represented by the Supreme Council of Armed Forces (SCAF). They asked Egyptian people to stop this. For its part, the SCAF used several tactics to prevent people from joining the protest, from sending ousted president Mubarak and his two sons to criminal court, releasing statements on Facebook saying suspicious elements were asking people to protest and playing on the relationship between the people and the army, and finally on Thursday arresting activists leafleting about the 27 May protests. In response to the SCAF statement (56) on Facebook, the Second Anger Egyptian Revolution Facebook group announced they would organize popular committees to protect Egyptian buildings as hospitals and police stations. “We are neither vandals nor suspicious elements; we are creating popular committees to protect the country,” according to their statement on Facebook. Saleh is not convinced that the call for a "second revolution", as put forward by some of the organisations calling for today's demonstration is metaphoric. He insists that the title is exactly about the call for a new revolution and for him this is a deviation from the path of the "still on-going revolution". "We have the major task of rebuilding state institutions and to do this we need to part ways with anarchy – whether intentional, as instigated by the supporters of the (Mubarak) regime or unintentional as we have seen via the many demonstrations of workers and professionals demanding the adjustment of unfairness to which they have been subjected," Saleh said. "We have a constitutional vacuum and an economic crisis and this is what we should work on addressing," adds the MB figure. Indeed, the MB and SCAF "share an agreement", according to Saleh, on the clear and legitimate objectives of the 25 January Revolution "and we exchange views and consult if any side is concerned over something – so why run into a collision course with the army". He adds, "I don’t really understand the point of the complaints made by some against the head of SCAF [Tantawi]". Great post, Ocelot. I wonder which effect the statement from the head of the MB will have on its poor followers. The developing of events sure is clearing the positions about who the workers can count with and the other way round. Well, the MB has always been a bit wary of workers' actions. They've only expressed support when they feel like they had to in order to keep their "main opposition" credibility. Now that they've "reformed" themselves to become part of the official bourgeoisie they are saying what they really wanted to say before as well. 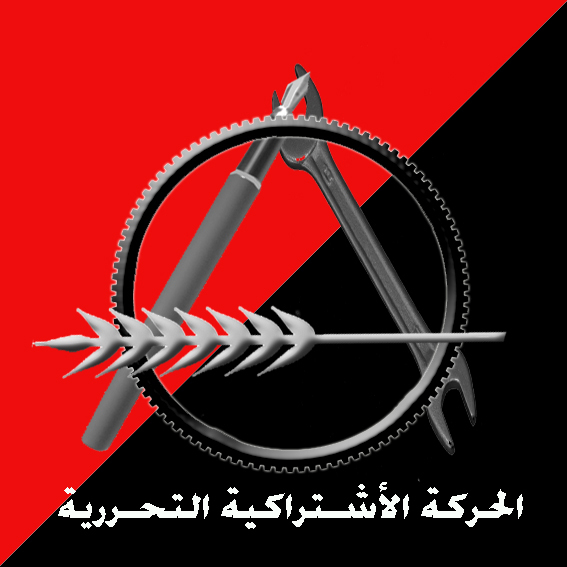 Make no mistakes about the MB: for all intents and purposes they are a Leninist party. If they can't control a social movement, they will attack it. What is more interesting about MBs role and positions in a post-Mubarak world is what the more radical Brothers will do. Will they move to the left or form an even more mental religious sect? Considering the recent salafi crap going on (supported by the military junta), it seems like the MB is pulled in both directions. "Revolutionaries are here, where is the Brotherhood?" Well that's good to know. I wasn't clear enough before: i hadn't enough info on the MB, i thought they were politically some kind of social-democrat interclassist stuff, therefore my wonder of their low bases. I mean it's not what we know about the MB, it's what their poor supporters think of them. Unless it is a middle classes party and have no working class supporters. Anyway in a stuation like this decissions taken are crucial to rettain their basis unless they expect, in case of temporaly success, to buy the poor with spoils system. The MB used to buy off the poor with social welfare programs in relation to community mosques. Support for MB among the poor came largely from these programs, not from ideological commitment. But you're right: they are inter-classist. They advocate that the natural community is the ummah (i.e. transnational, trans-social, community of believers). MB trade union activists used to advocate working with the bosses since they were also muslims (not sure what Ikhwan TUs did in non-Muslim companies). MB trade union activists used to advocate working with the bosses since they were also muslims (not sure what Ikhwan TUs did in non-Muslim companies). Corparativism a la Mussolini We have loads of anti-ideological work to do in highlighting this kind of shite anywhere; there, spain and elsewhere. It's interesting that all the acceptable alternatives to turbo-capitalism are so lame and lousy. Hopefully from now on the unacceptable will be much more appealing. (from the Al Ahram liveblog coverage of today's protests). Now as previously noted over the last couple of months, different dynamics govern what goes in in Suez (and even more so Sinai and Upper Egypt), and no doubt this is a calculation based on local balance of forces etc. But the general point is, that there remains general ferment, and although, overall the MB is a relatively centralised and disciplined reactionary organisation (whose unique selling point to their new SCAF allies, is their ability to deliver a "stabilising force", supplemented by the plausible deniability of Salafist brownshirt thuggery), that doesn't mean that there aren't minoritarian contradictory currents at work within them. But like Khawaga said, which way these elements will end up jumping is very unpredicatable at this juncture. To a degree it will no doubt react to any emergence of strong currents from within the ferment (either positively or negatively). I would recommend reading the AA liveblog linked above in it's entirety. It won't give you any clear answers, but it gives a (superficial) impression of how things are still very confused, fluid and up in the air.